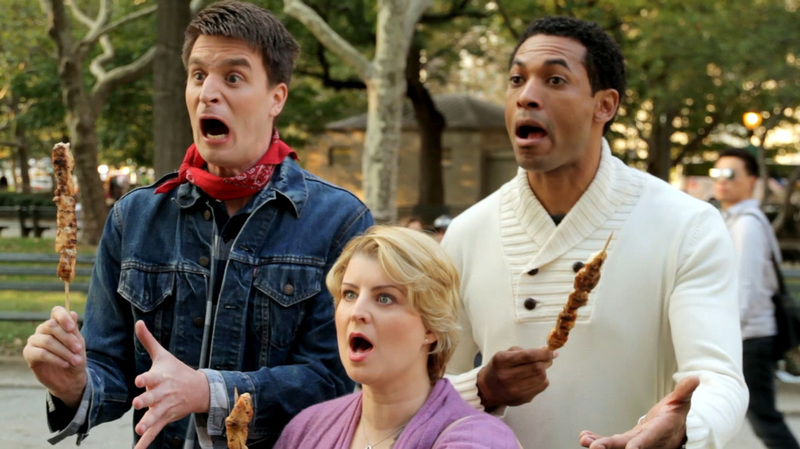 A comedy for food lovers everywhere! Down-and-out writer Chase Guidry is transformed overnight into NYC’s next big food critic before a freak accident robs him of his senses of taste and smell. In order to keep his new-found fame and pursue the love of his life, he relies on a team of super “smellers” and tasters to fake his reviews. Riding his lie for as long as it will carry him, Chase is bound for a collapse of epic proportion. CHASING TASTE is a celebration. It’s a romp through a quirky world of characters, story, and senses, infused with the joy all of our collaborators brought to the process. This movie is a true reflection of the dedication, humor, and grit of our great team of filmmakers. You see, CHASING TASTE owes its voice to its team because it was built backwards. We began by rounding up our actors and crew and getting them all in a room telling stories about love, New York City, and what everyone most desperately wanted to do or see in a movie. We then pooled our resources to figure out which amazing locations we had access to. Armed with that inspiration and those constraints, our screenwriter Lori Fischer set out to write an original film for those actors in those places. The result was magical as each of our core cast members were born to play their respective roles custom-tailored just for them. When we set out on the journey to make CHASING TASTE, I had no idea where we would end up. Frankly, I didn’t even know it would be a romantic comedy. In the end, the movie centers around one big idea: True success only comes when you’re true to yourself. Even though our cast of characters is incredibly diverse, all of their journeys revolve around that core. And that’s a message I’m proud share.